SO-ON | Best of the Week! 25 Jul Best of the Week! 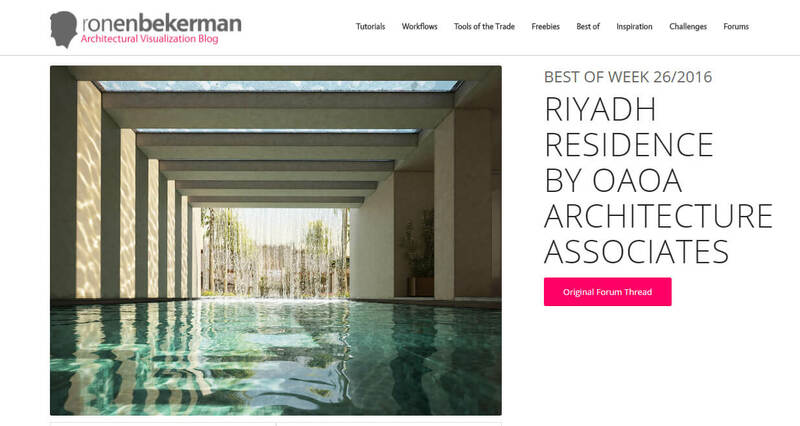 We’re thrilled to announce that our Riyadh Residence imagery for OAOA Architecture Associates recently won Image of the Week on Ronen Bekerman – 3D Architectural Visualization Blog. Thanks as always to Ronenand everyone who has taken the time to comment.